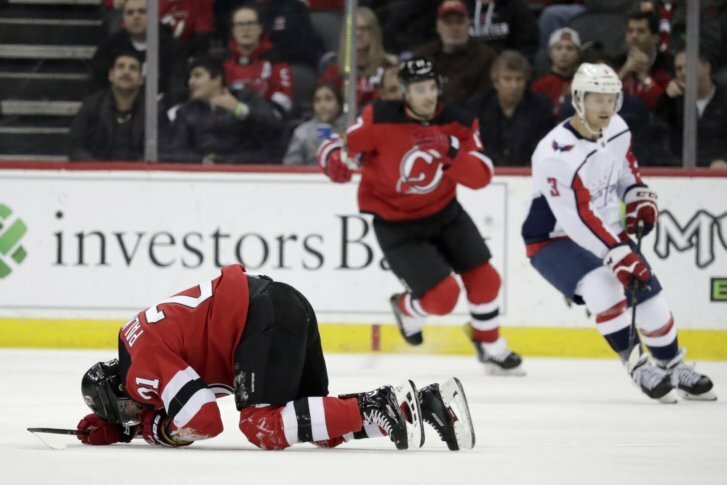 As the season winds down and the race for the Metro gets tighter, the Washington Capitals need to win every game they can and knew that they’d have a good chance against the injury-plagued New Jersey Devils. They got the job done, securing a 4-1 road victory Tuesday night. Washington was able to open the scoring early in the first period as Andre Burakovsky took advantage of some extra time and space to fire a snapshot past MacKenzie Blackwood, scoring the first goal of the game. He now has three goals against the Devils this season and was able to put an end to a four-game scoring drought. Although it looked the Caps would carry a lead into the first intermission, Kenny Agostino scored with one second remaining in the opening frame to make the score 1-1 heading into the second period. He now has points in five of his last six games. The Caps would retake the lead about five minutes into the second period, with Brett Connolly scoring his career-high 20th goal of the season on a backdoor pass from Christian Djoos. Washington now has five 20-goal scorers. Evgeny Kuznetsov and Tom Wilson would later strike within minutes of each other to give the Caps a 4-1 lead before the third period. With an assist on Wilson’s 21st tally, Nicklas Backstrom now has 50 assists in six straight seasons. Pheonix Copley was able to protect the Caps’ three-goal lead, stopping 20 of 21 shots. Blackwood had 18 saves in the loss. With the win, the Capitals were able to take the lone lead in the Metro and have 93 points with nine games remaining and a tough schedule still looming.